Since booking Alicia and Matthew’s wedding over a year ago, we’ve gotten to know this family so deeply. We have laughed with them, we have cried with them. And we have photographed them… at both of Alicia and Matthew’s weddings. Wait, what? Yes, you read that correctly. Two weddings. I know, you’re not sure what I mean. Go ahead and grab a tissue and some coffee – this story’s a doosie. A long, beautiful one. Rewind to spring of 2012. We get a call, we have a meeting with Alicia and her mom. We hear all about what should be an absolutely stunning wedding set for June of 2013. This meeting went so well and we clicked so suddenly, that our meeting lasted over 4 hours and ended with an invitation for kayaking the Caney with them! We were instant best friends. We planned an engagement session for October and as time grew closer to fall, Alicia informed us that her father (who was ill with a brain tumor) was declining some in health. We met for cupcakes to chat, and decided to change their engagement session to a wedding in order for her dad to be able to walk her down the aisle while he was still able. With less than 3 weeks notice, they had a wedding to plan – and FAST. Since they were in town and needed a wedding dress, they invited Brandon and I to go with Alicia and her mom and brother to choose her dress. I can’t begin to describe to you how special that night was. She found a dress with the help of the ladies at Merle Norman/Beauty Queen Boutique, and we fought back tears as we watched this bride selflessly choose to lay aside her plans and hold her wedding 8 months early so that her father could be a part of it. So, Sunday, October 14 rolled around. Exhausted from an out of town wedding the day before, Brandon and I fueled up with coffee and headed to what would be the most memorable, most special, most beautiful wedding we’d ever been a part of. Not to discount any of our other weddings – we think they are ALL special…but this one had a little extra bit of nostalgia to it. We arrived at her father’s house and began shooting some preparation. I can’t describe the atmosphere. Excitement, chaos, anticipation…but also an air of solemn respect for the incredible moments that were about to unfurl before us. When Alicia’s makeup and hair were finished (by the amazing Megan Doss – Beautician, whose wedding we shot the year prior), she put on her dress and took a deep breath before walking downstairs to see her father. We positioned ourselves so as not to intrude in the sanctity of the moment, for it would be one Alicia and her father would remember forever. She came down the stairs of her childhood home, and her father (a former air force pilot who never showed emotion) – seeing her in that white dress, couldn’t fight back the tears. Even typing this I can barely hold them back. They embraced and they cried, and just sat together for a while. It was a moment I will never forget either. The rest of the day went beautifully as well. 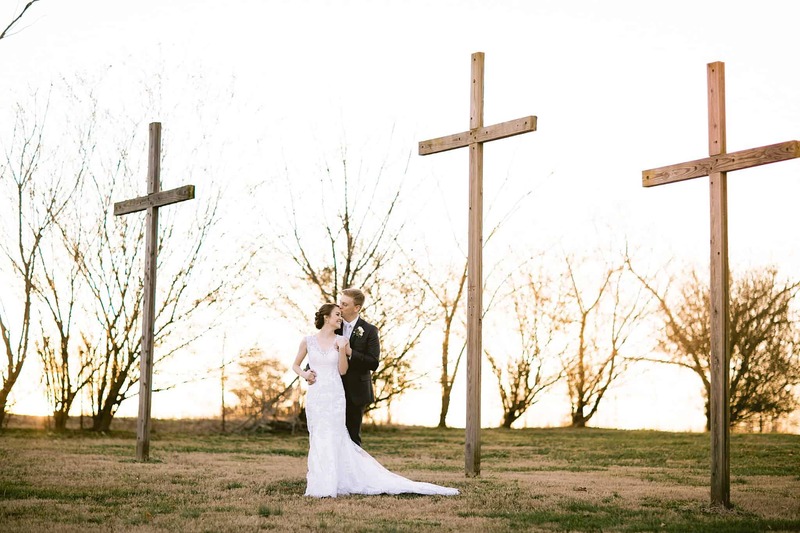 The part I loved most is that the day was all about the things that matter most – not flowers, not decorations, not even the dress – it was all about love, family, and moments. Now that you know the background of this beautiful story, the images will be all the more powerful. Stay tuned for Part 2 of Alicia and Matthew coming soon…because the June wedding was still on! Alicia’s dad carried some very large bullets in his pocket and liked to show them to Matthew every now and then. I think he got the message!